A clinical record containing pertinent past and current findings in accordance with accepted professional standards is maintained for every patient receiving home health services. In addition to the plan of care, the record contains appropriate identifying information; name of physician; drug, dietary, treatment, and activity orders; signed and dated clinical and progress notes; copies of summary reports sent to the attending physician; and a discharge summary. The HHA must inform the attending physician of the availability of a discharge summary. The discharge summary must be sent to the attending physician upon request and must include the patient’s medical and health status at discharge. The new Conditions of Participation have details about what is expected to be in your assessment and plan of care. The standards that fall under this condition are as follows as I understand them. They are not verbatim. The RN must conduct an initial assessment to determine the immediate care and support needs of the patient and for Medicare patients, determine eligibility, including homebound status. This visit must occur within 48 hours of referral or return to the home or on the specific date ordered by the MD. When nursing isn’t ordered, Physical Therapy, Speech Therapy or Occupational Therapy can perform the initial assessment. This is later clarified to read that Occupational Therapy can perform the assessment if the need for OT services establishes the need for services. The initial assessment must be completed in a manner consistent with the immediate needs of the patient but no later than five days after the start of care. Patient strengths, goals and care preferences – including information that may be used to demonstrate patient progress to the patient’s goals and measurable outcomes identified by the agency. The patient’s primary caregiver(s) and other support including their willingness and ability to provide care, their availability and schedules and the patient’s representatives, if any. Incorporation of the OASIS dataset into the comprehensive assessment. The assessment must be updated at least every 60 days and also at the time of a significant change in condition, beneficiary elected transfer, transfer and discharge to the same agency within the same 60-day period, within 48 hours of return to home after a hospitalization and discharge. Surely you have realized by now that most of these criteria are already written into the OASIS regulations, prior Conditions of Participation and sound clinical principles. Now they are Conditions of Participation and while similar to what we already do, note that Occupational Therapy can now perform OASIS assessments. Also, it’s worth noting that whenever the comprehensive assessment is mentioned, it is followed by the assessment of Medicare eligibility for Medicare patients including homebound status. This is a new condition and while many agencies already do most of this, there are some standards that some agency’s haven’t done in the past. Patients are accepted for treatment on the reasonable expectation that an HHA can meet the patient’s medical, nursing, rehabilitative, and social needs in his or her place of residence. Each patient must receive an individualized written plan of care, including any revisions or additions. The individualized plan of care must specify the care and services necessary to meet the patient-specific needs as identified in the comprehensive assessment, including identification of the responsible discipline(s), and the measurable outcomes that the HHA anticipates will occur as a result of implementing and coordinating the plan of care. The individualized plan of care must also specify the patient and caregiver education and training. Services must be furnished in accordance with accepted standards of practice. Each patient must receive services that are written in a patient specific plan of care identifying patient goals and outcomes, established and reviewed periodically and signed by a doctor of medicine, osteopathy or podiatry acting within his or her scope of practice. If the physician refers a patient and the plan of care cannot be completed until after an evaluation visit, the physician is consulted to approve additional orders. Risk assessment for emergency room visits and rehospitalizations and all necessary interventions to address the risk factors. Flu and pneumonia vaccines may be administered per agency policy developed in consultation with a physician and after the assessment of a patient to determine contraindications. Verbal orders must be accepted only in accordance with state laws pertaining to verbal orders. When a verbal order is obtained, services are to be carried out as ordered without waiting on the signed order. Verbal orders must include the signature, date and time that the order was received and be placed in the clinical record. They are to be authenticated and dated by the physician who gave the orders in accordance with state laws and regulations as well as agency policies. The plan of care is reviewed and revised by the physician who is responsible for the for the home health plan of care as often as indicated by the patient’s condition but at least every 60 days. The agency must promptly alert the relevant physician(s) to any changes in the patient’s condition or needs that suggest that outcomes are not being achieved and/or that the plan of care should be altered. The revised plan of care must reflect current information from the patient’s updated comprehensive assessment and contain information concerning progress towards goals identified by the agency and patient in the plan of care. Any revisions to the pan of care due to a change in health status must be communicated to the patient, representative (if any) and all physicians writing orders for the patient. Any revisions to discharge plans must be communicated to the patient, representative (if any) and all physicians ordering care, the patient’s primary care practitioner or other health care professional who will provide care to the patient after discharge from the agency. Communication with all physicians involved in the plan of care. Integration of orders from all physicians involved in the plan of care to assure the coordination of all services and interventions provided to the patient. Integration of services provided by the agency or under arrangement to assure the identification of patient needs and factors that affect patient safety and treatment and coordination of care. Involvement of the patient, representative (if any), and caregivers as appropriate in coordination of care activities. Ensure that education is provided by the agency to the patient and caregivers regarding care and services in the Plan of Care and to ensure a timely discharge. Patient Medications and instructions on how to take meds including medication name, dosage and frequency and which meds will be administered by the agency or contracted personnel. Al pertinent instructions related to the patient’s care and treatments that the agency will provide specific to the patient needs. The name and contact information of the agency’s clinical manager. So that’s a lot. Agencies who choose to wait will be working weekends and holidays to be in compliance by mid-January. The first thing I might do is call my software vendor. The plan of care requirements haven’t changed but the information that is required to be given to the patient has. Could a patient friendly medication sheet containing frequency as well as the name and strength of the med be generated? Depending on your patient population, there may be questions about whether or not you want to leave the entire plan of care in the home. Will the computer generate a separate form? Notice that teaching must be specific to the patient. This may seem self-evident but I have seen nurses teach that Neurontin is for seizures when the patient never had a seizure in their life but was taking Neurontin for neuropathy. Still, the patient verbalized understanding. Care coordination and communication is an ongoing Condition and an ongoing problem. I thought that software messaging would reduce the problem but sadly it has not. The software accounts I have for clients have so many emails in the inboxes and the vast majority of them do not concern me. One of you has a better idea. Care to share? Look for more next week. Meanwhile, get through these Conditions before moving on to the next. Home health care agencies that bill Palmetto GBA are currently in the midst of receiving five ADRs each across the board. As such, clinical record review has been ongoing at our office. What we’re finding is almost typical but not identical to what we have been seeing in clinical records in the past. Here are the top five risks for denial that we have identified. No physician statement of how long services will continue for second or later episodes. This is occurring even when the agency’s software has a blank for the information. Remember, if your physician’s estimate is a little too optimistic, it is not mandated that you discharge or otherwise do away with the patient. Help your physicians arrive at a reasonable time frame based on your combined experience. If you have no experience, consult your DON. If new needs arise, revise the end date on the following POC if any. Unsupported diagnosis codes. If a physician documents that a patient is forgetful and your assessment reveals that the patient is not oriented to person, place or time, you are likely both correct. However, in a case like this, a code for dementia is not supported by the MD. Another thing – it really is okay to let a diagnosis of hypertension stand-alone if the patient has hypertension. It does not need to be dressed up with additional diagnoses such as hypertensive heart disease or heart failure. It only ‘looks better’ at first glance until someone realizes that there is no MD support the code. When a physician’s documentation does not support your codes, it really is okay to ask. Send a fax to the MD asking if your codes might be accurate. There is always a chance that the doc’s documentation is not accurate and your question may be the catalyst to better overall care for the patient. Unmet needs for additional disciplines. When we look at ADRs, we ask for a copy of the packet that will be going to Palmetto or whomever. In limiting our view to only what Palmetto reviewers see, we sometimes see glaring omissions that may not be obvious to clinicians up to speed on the patient. We see patients with falls and no therapy and patients with difficulty with ADLs and no home health aide ordered. Usually these services were provided in a previous episode or admission or refused by the patient but unless documented, it is impossible for a reviewer to see these omissions. A lot of agencies have moved away from 486 summaries (against our better judgment). If your agency does not write summaries as a rule, be sure to at least include that the patient is being ‘readmitted’ to indicate that there is more to the patient’s story. When you see the word, ‘readmitted’ when preparing documents for an ADR, ensure that you mention prior disciplines and treatment modalities in a cover letter to accompany the ADR. Signature issues. It seems that most agencies understand the signature requirements imposed by Medicare but not all. Ineligible signatures a ‘gimme’ for Palmetto GBA where the reviewers of clinical records deny entire episodes based upon one undated signature. What’s curious about signature issues is that until an agency receives a denial, they don’t believe they have a signature issue. They have strict policies about billing and have created a work environment where fraud is not tolerated. When someone reminds them about signatures, they are confident in the high ethical bar the agency has set. They don’t see the problems we do. The truth is that without diligence, inadequate signatures slip through. Stamped signatures, NP signatures and the signatures not matching the name on the plan of care are found occasionally and when those charts are reviewed by a payor source, a denial results. There is no great clinical skill in checking signatures and agencies without signature problems encourage everyone who sees a signed 485 to verify the presence of a date and the correct name on the signature line. If the problem is pervasive, pay a bounty for every ineligible signature. Remember, it is far easier to convince a physician to sign an attestation when he or she clearly remembers when they signed a document. Some clinicians feel as though they are ‘bothering’ the physician when they call for orders. Others are confident that the physician does not want to be called. Our all-time favorite is the statement, ‘MD Aware’ and better yet, ‘MD fully aware’. These examples of lack of communication will almost certainly result in a survey deficiency. They may also result in a denial if the episode has no new exacerbations, orders, meds, hospitalizations, etc. The patient becomes ‘static’ or ‘chronic’ and it becomes unfair to say that the patient has an acute, intermittent need that can be met by home health. Faxes are wonderful things. So is secure email if you are lucky enough to have an MD who uses it. You can write up your non-critical concerns and send to the doc at the end of the day with a phone call to verify receipt. (Don’t trust the fax verification sheet because who knows what happens to faxes once they are received at the MD office.) That will certainly take care of any deficiencies on state survey. To make payment for claims more likely, ask for orders if none are forthcoming. Not every high blood sugar or blood pressure requires a change in medications but when changes are warranted, it is usually because of a trend. Ask the MD for an extra visit to ensure that the errant numbers fall back to within parameters. Think of it this way. If your assessment reveals numbers that are the start of a new problem requiring a change, would you want to wait a week or more to get a second reading? Ask for lab if indicated. A patient who is no longer responding to Lasix may have kidney disease. You can ask if the MD wants a metabolic panel or for you to advise the patient to schedule an apt. When a patient reports severe pain, ask for therapy orders or non-pharmalogical relief. Do your homework by verifying pain meds are taken as ordered. More than one patient has stayed in pain because they are afraid of getting ‘hooked’ on pain meds. Work with the patient and the MD to find non-narcotic pain relief. If the MD complains about your frequent communication, consider if you are overdoing it. Review the information with peers. If the communication was necessary for good care, ask the MD for suggestions on how to minimize it. If none or forthcoming, it may be time to accept the fact that he will be referring to another agency in the future – at least until a patient is hospitalized because the MD was not notified of a serious problem with his patient. So far, all we have done is review the ADRs. No results have been forthcoming. We would be interested to know what you are finding as you review your charts and/or hear from Palmetto about your ADRs. The telephone is often our most sacred source of amusement. We love email, texts and blog comments but there are some things that people will not commit to writing. When we need a break, we simply turn our volume up and answer the phone. The answer was less than articulate but the word ‘jail’ was in there somewhere. Apparently, the patient got a little tipsy and loud and someone called the police and there were outstanding warrants and he is taking a little vacation courtesy of the county. • Confined completely or partially in any way under a penal statute or rule. If you are providing services to someone who has escaped from confinement, you have bigger problems and my recommendation is to pretend you do not know that your patient is an escaped convict. If you let on that you know, you may experience a sudden reduction in staff. If your conscience bothers you, don’t bill for the care and enter into a Corporate Integrity Agreement with the OIG when you are able to safely discharge the patient. 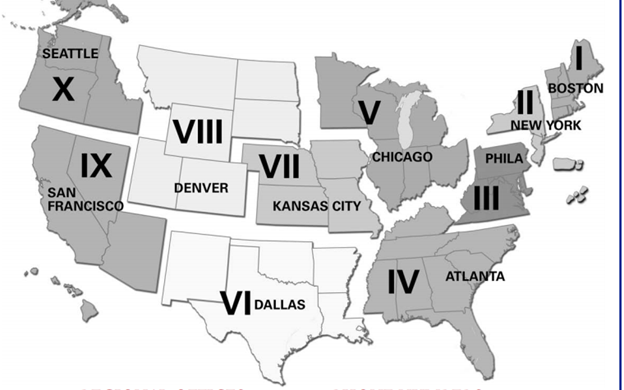 In fact, it appears as though CMS Region 6 is well represented in the list. 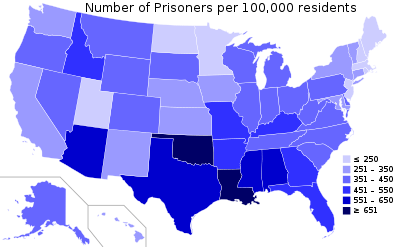 In addition to being Region 6 states, it is noted that all of them are in the South and none of the very cold states have many prisoners. But, you have a bigger problem than the weather in Region 6. Specifically, it appears as though the various prison systems across the states are very slow to update their systems. In some states, Medicaid is auto-cancelled when someone is incarcerated. Released prisoners do not always know to reapply. In other states unless someone applies to be taken off of probation they will remain on probation until a judge approves their release. Medicare is denying claims for the incarcerated. States can decide if they want to use Medicaid dollars but most don’t. The ones that pay for prison healthcare forego the matching Medicare funds. In Louisiana, we don’t have to worry about those required to reside in Mental Health facilities because our jail is our mental health facility but like everyone else we need to be concerned about halfway houses, supervised release and those on Medical Furlough. If a patient on House Arrest gets past you, shame on you for not checking pedal pulses. You don’t deserve to get paid if you missed the ankle bracelet. 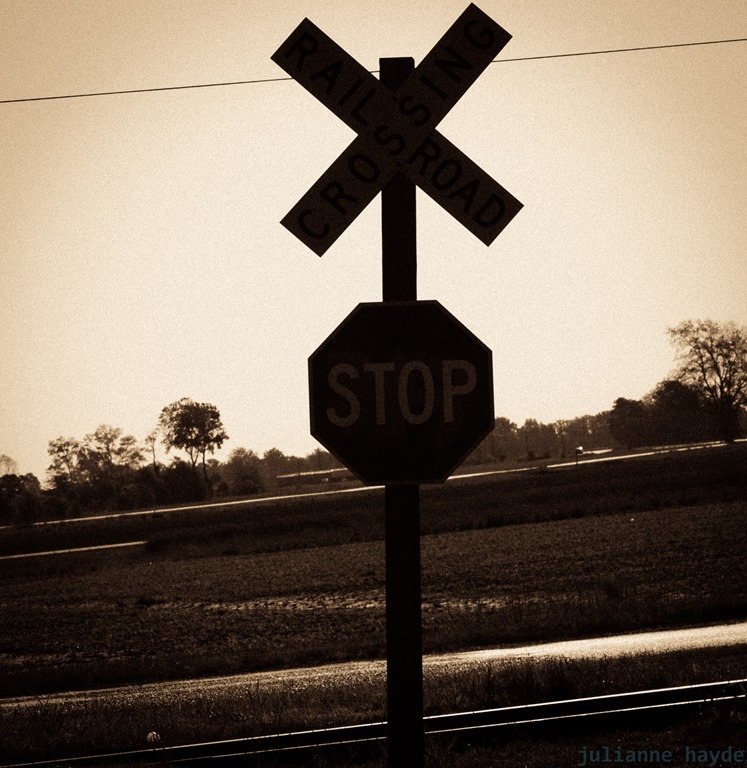 Stop and use caution before documenting your visit! If you are not concerned about poor to mediocre patient care, getting paid or your license, read no further. If any or all of these issues are of concern to you, keep reading. Below are ten of the most frequent flaws in nursing documentation reviewed by the coders. We know that these oversights and omissions are most often the result of a busy schedule or inattention to documentation because we know our clients. State surveyors, Medicare contractors and agencies named with 3 letters and an Eagle (OIG, FBI, DHS, CMS, etc.) do not express any great interest in the underlying causes of poor documentation. Many times, the MD is not called at the house due to time constraints or other issues. When orders are received, they do not tie back to any communication in the chart. Documentation of two way communication is critical to both sound clinical practice and payment. The 486 summary indicates that the patient lives with a daughter but the OASIS states the patient lives alone. The OASIS data states that the patient becomes short of breath with minimal activity but the plan of care does not include shortness of breath in the functional limitation. A chart found in one the best agencies I know of had multiple notes reading that the patient complained of extreme pain. The physician was notified after every visit with a fax and a copy of the med list. No new orders were received. The Director of Nursing explained that the patient had recently been the subject of an evening news story involving the sale of her pain meds to supplement her Social Security check. When little things like vital signs, weights, and blood sugars are omitted from the clinical record, it causes problems. A weight gain of ten pounds after two weeks of forgetting to weigh the patient is negligent but not as bad as forgetting the third week when the patient is hospitalized. Most nurses take vital signs. I spend many nights staring at the ceiling wondering why they aren’t on the chart. Then I remember that I tend to write them on my arms and if I bathe before I chart, they are lost to the water supply. What’s your reason? Missing new orders, teaching on medications that have been discontinued and not notifying the MD for problems is more common than you think. It is what feeds many malpractice attorneys. It is why state surveyors might not trust anything you say during survey. It is why nurses find themselves answering very difficult questions to the state board of nursing. If you do not have a current care plan, refuse to see the patient until you have a verbal report. Document the verbal report. If you see a patient without looking at prior orders, shame on you. If the prior orders taken by another nurse are not written and as a result you teach a patient to take a med that has been discontinued, write an incident report. This is stuff that kills patients. Lack of follow leaves gaping holes in the chart, and often, results in missed opportunities to provide better care to patients. Consider a clinical record where you read one week that the patient has a doctor’s appointment the following day and that’s the last time it is mentioned. Did anyone call to see if there was lab or new meds ordered? It’s hard to believe but sometimes patients don’t tell you these things. One of the easiest way to prevent re-hospitalizations, adverse reactions, and non-compliance with medication is to simply review all medications against the med list on each and every visit. Every time a med is missing, a new med appears, or there seems to be confusion in dosing, there lies an opportunity to improve the care of a patient and to increase your level of skill ensuring payment. If a patient tells you they had a lab or diagnostic test and the results were fine, by all means document it. Also call the physician who ordered the test and get the scoop. The physician may have told the patient it was ‘fine’ or ‘no change since the last MRI’ but in the context of the specific patient, that same test could show degenerative disease, a low hematocrit or some other information important to support eligibility for your patient. If possible, always get copies of the final reports for lab and diagnostic tests. This sounds harsh but it is evident en masse in the clinical records reviewed by The Coders. A new medication will be ordered specific to a disease that is not documented anywhere. Eye drops for glaucoma, Zemplar for hyperparathyroidism secondary to renal disease, Invokana for Type II diabetes are all medications seen within the last week that have no corresponding diagnosis. These meds both have serious side effects and teaching to ‘take medications as ordered’ will not help the patient avoid untoward adverse reactions or recognize side effects. All of these shortfalls in clinical documentation can be avoided by simply reviewing the charts. The average time for a skilled nursing visit is 30 minutes and the average payment is equal or more to what nurses would make in the hospital. This means that nurses have the time to review the clinical records, go to case conference meetings and call physicians. If a nurse has ten fingers and a keyboard or two thumbs and a smart phone, enough information regarding medications is available around the clock. Medscape has a great completely free app for mobile phones that has data that can be stored on your phone when you are away from Internet connectivity. We all want to get paid. If agencies don’t get paid, they have no money to pay consultants and coders and that reason to document well falls second only to improving patient care.